SS Somme (1916-1917) SS Somme was a British steamer of 1828 tonnes. 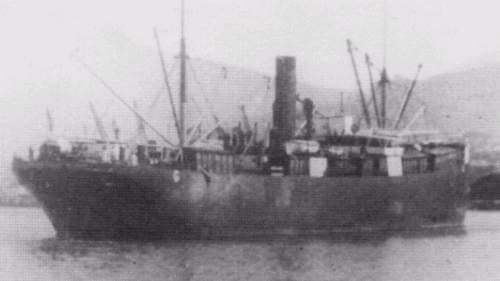 Built by Austin S. P & Son Ltd., Sunderland, she was owned by the Normandy Shipping Co. Ltd., London at the time of her loss. 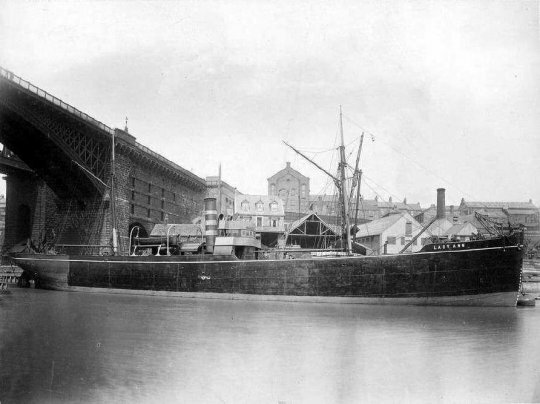 SS Oakwell (1887-1917) British merchant vessel of 248 tonnes, SS Oakwell, was built in 1887 by Craig, Taylor & Company Ltd., Stockton-on-Tees. 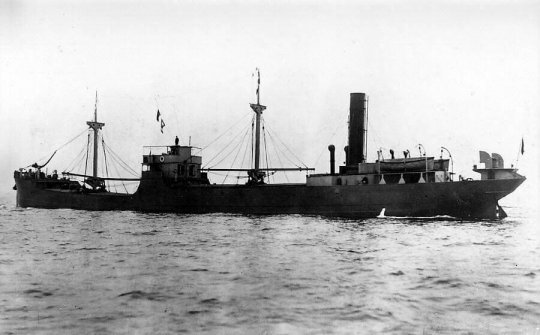 At the time of her loss, Oakwell was owned by United Glass Bottle Manufacturers Ltd.
SS Clan Macmillan (1901-1917) British merchant steam ship Clan Macmillan was built in 1901 by Mcmillan A. & Son Ltd., Dumbarton. 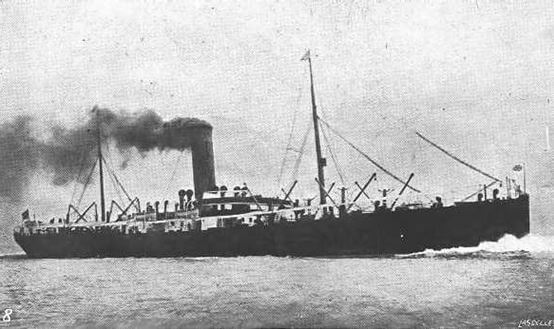 At the time of her loss, she was owned by Clan Line Steamers Ltd., London. SS Stanley (1914-1917) British merchant vessel SS Stanley was built in 1914 by Irvine’s Shipbuilding & Drydock Co. Ltd., West Hartlepool. At the time of her loss, the vessel of 3,987 tonnes was owned by Pyman G. & Co., also of West Hartlepool. SS Narragansett (1903-1917) British tanker SS Narragansett was built in 1903 by Scott Shipbuilding & Engineering Co., Greenock. At the time of her loss, the vessel of 9,196 tonnes was owned by Anglo-American Oil Co. Ltd., London. 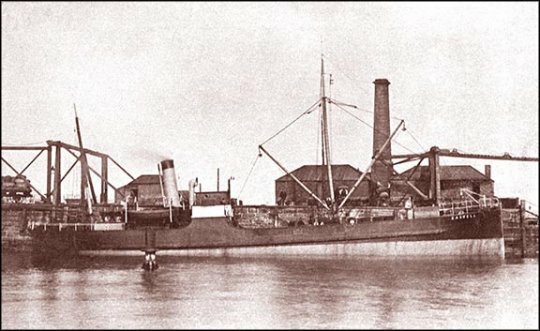 SS Bray Head (1894-1917) SS Bray Head was a British merchant vessel of 3,077 tonnes, built in 1894 by Swan & Hunter Ltd., Newcastle-upon-Tyne. 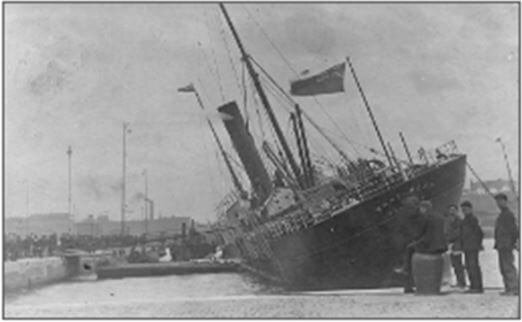 At the time of her loss, she was owned by the Ulster Steamship Co.